The one common condition shared among those who used drugs is that they were available and everyone was doing it. Sobriety probably raises this as the easiest excuse for ever using drugs, nevertheless, science has long reported about the gateway drug theory that the use of less toxic drugs can/may lead to a future risk of using more dangerous hard drugs. It is often attributed to the use of several drugs, including tobacco, alcohol, and cannabis. Both alcohol and tobacco have been identified by science to have similar effects on the body and body as processed sugar, so maybe it too can be a gateway drug? All of the doctors now that convey health information via the Internet, radio, television or news print state just how bad processed sugar is for you. It has only been a very short time that so many health professionals are coming out speaking the truth about the dangers of processed sugar. Processed sugar heightens the fructose, in particular, which is an extremely potent pro-inflammatory agent and speeds up the aging process in humans and animals. It does harm to the body by building dangerous growth of fat cells around vital organs which is the gateway effects to diabetes, obesity and heart disease. In view of that, if you have been reading this column over the past eight years you already know just how bad eating processed sugar can be. Surprisingly, it seems to never end just how well processed sugar manages to creep into your unsuspecting food selections. Even hidden in those foods that you think are healthier. 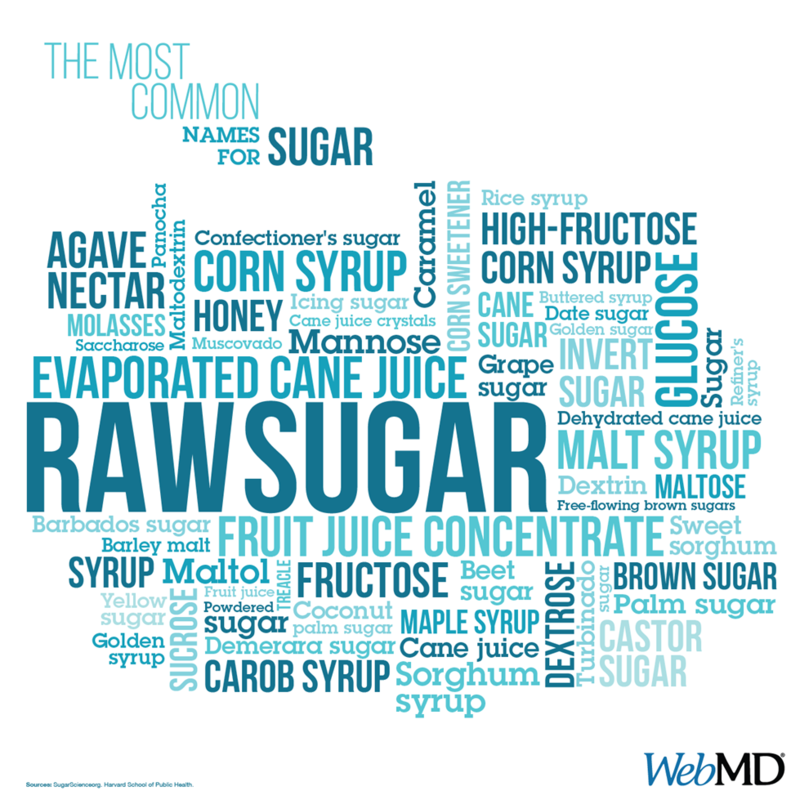 Check out a few items that you may eat often or notice others eating frequently and their respective processed sugar content. A Fiber One ‘Oats and Chocolate Chewy Granola Bar’ contains 13 grams of processed sugar. I found this really silly because this is sold as something to move your bowels and processed sugar does just the opposite. This amount of processed sugar in one bar is equivalent to just over 3-teaspoons of added sugar. On the other hand, 15 pieces of Hersey’s Milk Chocolate Drops has 23 grams, or nearly 6 teaspoons of processed sugar. I am not one willing to spend a lot of money at Starbucks, but I do notice folks frequently eating an Apple Bran Muffin with Fiber and Omega 3. This one muffin alone contains 34 grams of added sugar, which amounts to 8 ½ teaspoons of processed sugar. The American Heart Association recommends consuming no more than half of your daily discretionary calories to 100 calories per day, or about 6 teaspoons of sugar for women; and for men it is 150 calories per day, or about 9 teaspoons of processed sugar. If anything, eating processed sugar is unquestionably a gateway to poor health.